Xeenius is an experienced solutions provider in the telecommunications industry. 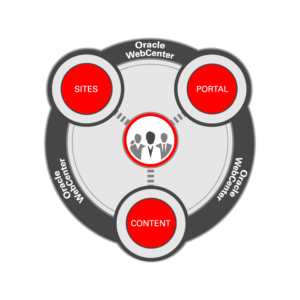 This includes integration work, Oracle database solutions and WebCenter deployment. The overall objective was to complete, on a time and materials basis, the deployment of an Oracle WebCenter environment with form development and OCR templates to support the scanned documents from a telco satellite office into a digital repository. All the documents (~400,000) were to scanned into the system. The prime contractor had been engaged by Telco to handle the end-to-end delivery of the project starting from planning and requirements analysis, scanning data, development, setup and configuration of the WebCenter environment, and testing, training and transition of solution to end users. This content integration project then tackled the additional requirement of allowing users from various internal communities to have access to this information through the WebCenter Portal in addition to pushing required information to other 3rd party platforms. The prime brought Xeenius in as a niche integration partner to execute this project for them from planning through testing and transition to the customer. Xeenius is led this project with the prime. It followed our Xeenius Technology Methodology (XTM) to design, develop and deliver this solution for the Telco. Basic requirements on digitizing the 400,000 documents had been identified as part of the early project planning phase. There were two tracks for document digitization – Manually scanned documents due to age of the documents/sensitivity of contents and bulk scanning via feeder. The prime accepted responsibility for the leasing of equipment, overseeing the manual scanning of documents, as well as security for the premises to ensure documents were not taken outside the premises. Identified the key stakeholders at Telco, Prime and Xeenius. We also had the responsibility for providing updates and managing team communication and larger communication with overall program, onboarding of resources as needed to support the project completion, training Xeenius resources on policies and procedures to be followed on this project. Xeenius developed a solution for ECS users to be able to index, search and expose content through API for 3rd party application consumption. The Telco standardized on Maven-based build and deployment automation for Oracle WebCenter and Jenkins for continuous integration and validation. Users were trained to use OCR for importing content into WebCenter and executing the packages and templates that were developed for searchable content.